Martorell, 15/02/2016 – One of the best sports cars for everyday use now offers even more power and even more emotion. The CUPRA 290, the highly successful top version of the Leon range, now delivers 213 kW / 290 PS, guaranteeing outstanding performance paired with excellent efficiency. The stunning design, individual equipment options and excellent quality are further points that make the Leon CUPRA a very special proposition indeed. In true SEAT fashion, exceptional value-for-money is, of course, a given. 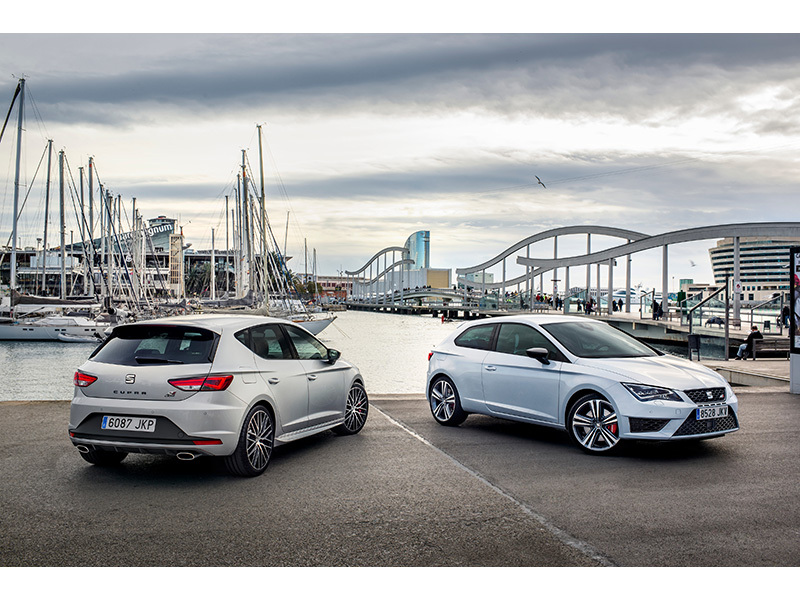 Among journalists and customers alike, the SEAT Leon CUPRA is much admired as a Sport Coupé, as a five-door and as a Sports Tourer. In the trade media cross Europe, the CUPRA immediately became a consistent winner in comparison tests; its owners love its design and road manners, as well as its premium look-and-feel. "CUPRA is the essence of the SEAT brand and we continue to nurture and refine this icon," says Luca de Meo, President of SEAT S.A. "The new CUPRA 290 displays SEAT expertise in full dimension. It's a refined, high-performance vehicle that combines its expressive dynamics with relaxed long-distance comfort and compelling quality." A concentrated package of hi-tech guarantees the enormous performance of the new Leon CUPRA 290. At the top is the 2.0 TSI engine with dual injection and variable camshaft timing and an output of 213 kW / 290 PS. The DCC dynamic chassis control, front differential lock, progressive steering, CUPRA Drive Profile and standard-fit full-LED headlamps are further examples of its state-of-the-art technologies.